I just got back my Hilbert Curve space-filling fabric from spoonflower, a site that'll print any image onto a variety of fabrics. 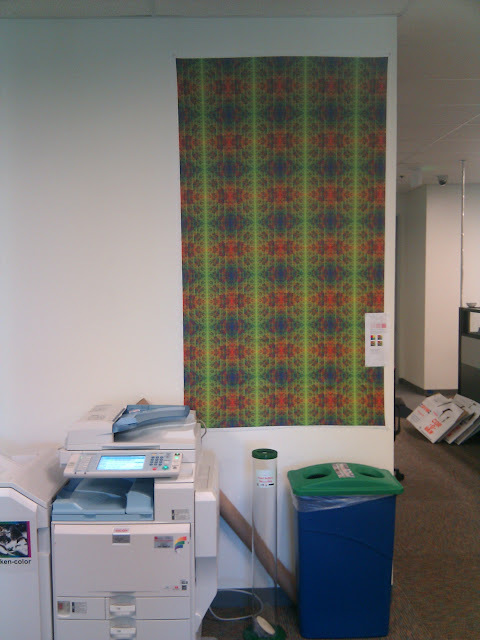 Space-filling fabric is suitable for tiling any plain spots on your walls, or for topological application. For storage, fold into a moebius strip and store in a Klein Bottle. 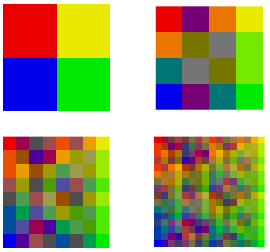 Source code and images available at http://lunkwill.org/src/hilbert/. 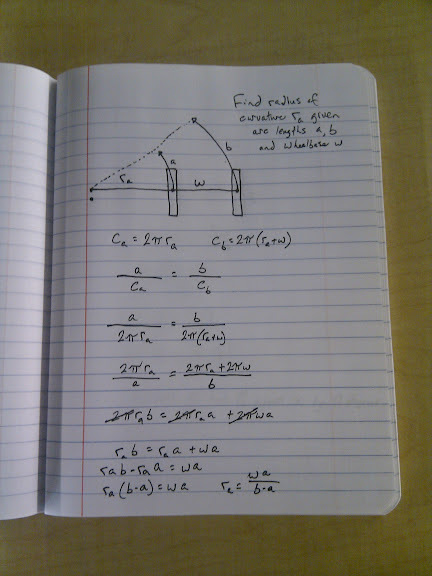 My wife just posted to her blog about how much she's enjoying the math classes she's taking at the community college. She always did well in math, and had a friend/rival in elementary school who she always competed with to be the best in her math studies. Then in 6th grade, her teacher wouldn't let her move on to the fast track because she hadn't done enough homework to get an A, even though she was acing the tests. Apart from feeling cheated, she was now also behind in the expected progression for technical fields. She studied English in college, and never got past college algebra. Now she's back in school, thinking of doing a graduate degree in engineering. So she's at the community college, where she's supposed to take several years worth of prerequisites outside her final department, to get the math and science core she feels like she needs just to apply to a good grad school. Likewise, my cousin loved astronomy in high school, where they had a neat research-oriented pilot program. Her project was to study historical photos of nebulas to see if expansion could be tracked over decades. I encouraged her to take more when she got to college, but when she saw how many math and other science classes she'd have to take as prerequisites, she also decided to major in English. One last related anecdote: I just met Sridhar Vembu last weekend. He found such a brain drain from the indian universities that he had trouble hiring for his indian software company. So he started a trade school. He takes 17-year-old poor kids with interest and a cursory hint of aptitude, and teaches them programming (while giving them a stipend and feeding them). The curriculum covers programming, english and math in that order of importance, and in that order of preference. The kids hate abstraction and math notation, but later appreciate it more after they've spent a few months solving practical problems in web programming. After 6-9 months, almost all of them start working for the company, and they do just as well as the college grads. As he puts it, "math is the new sanskrit". You'd think that after 10 years of e-commerce, that shopping carts would be a solved problem. I just sent this feedback to spreadshirt.com. But it gets better. I ordered 5 shirts this time, looked for an "update" button and didn't find one, and clicked to continue the order. Only on the last page of the order process did I notice that the quantity was still at 1. So I clicked on my shopping cart to back up the process and fix it. That showed me the item I was trying to order, and I clicked to proceed. But you were actually showing me the last page of the process again, so clicking committed the order... for one shirt. Finally, heading to the contact page, I get to enter a captcha (even though I'm already logged in) and type in a little tiny textbox to send you feedback, because you don't want to have to deal with the horrors of actually publishing an email address, even though you demand mine as part of the order process. g++-4.4 breaks backward compatibility for some stupid reason, so things that compiled just fine on earlier systems now break with errors like "stdout does not exist in this scope". To fix, sudo apt-get install g++-4.2, then make sure your Makefiles or whatever are set to use g++-4.2 instead of just g++. You could probably also just apt-get remove g++-4.4, but I'm not sure if that'd break anything. It's surprisingly hard to find statistics on linux distribution popularity by version number. Linux seems to account for about 2% of all browsing. It looks like some browsers just report "Linux" as their OS, unfortunately. But among os-versioned browser strings, it looks like Ubuntu dominates linux distros by about 10:1, and almost all Ubuntu users are running either Lucid or Karmic (about 50/50). A few years ago my brother in law asked how pi is calculated, and we found that it can be done as a reasonably intuitive algorithm, without any advanced math. Ever since then, I've wondered if sines and cosines could also be calculated simply. Here's what I came up with. Please let me know if you know of a simpler way, where "simpler" means relying on fewer or more elementary mathematical principles. 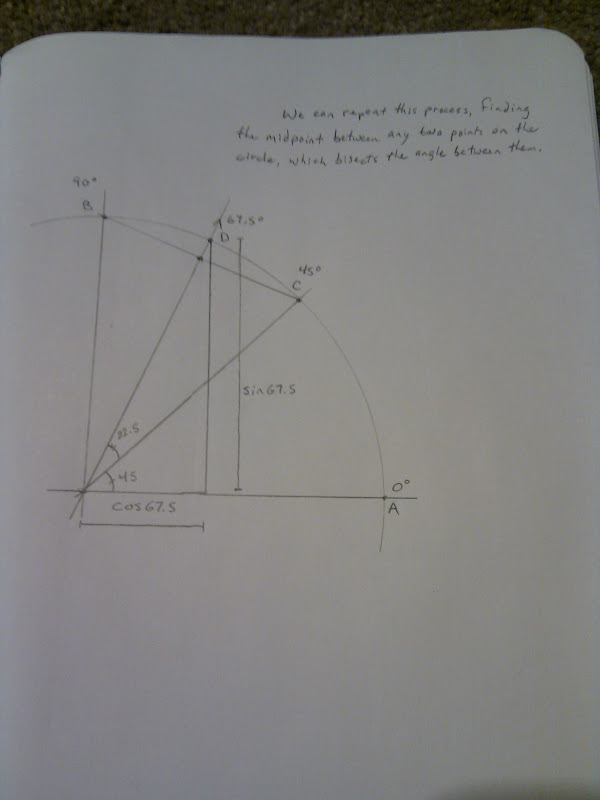 Sines and cosines let us translate an angle in a right triangle into the length of one of is sides. But what is an angle? 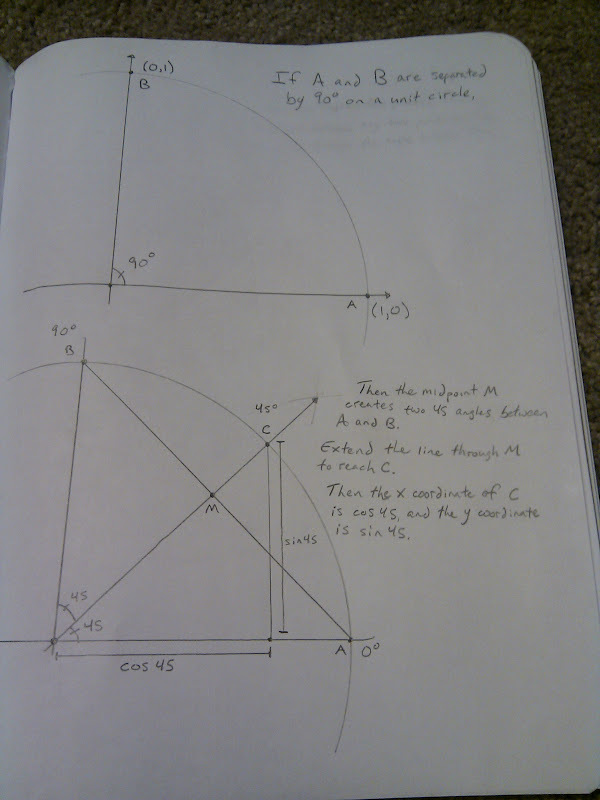 Well, on a unit circle, a 45 degree slice cuts off an arc that's 45/360ths the length of the circumference. We can cut that slice in half by finding the midpoint between the two ends of the arc, then extending that line out until it touches the edge of the circle. That slice represents 22.5 degrees. Since we have a point on the unit circle and we know its angle, the point's X and Y coordinates tell us the cosine and sine, respectively, of that angle. (And since the points are on a circle with a radius of 1, we know the hypotenuse of the right triangles is always of length 1). And here's python code that starts with the two points shown in the pictures, and keeps finding midpoints between them (recursively) until it gets a close enough approximation to any angle you want. circumference of the circle are separated by 90 degrees. 67.5 degrees by taking the midpoint between (0.707, 0.707) and (0, 1). angle we choose. The allowable angular error is set below as MAX_THETA_ERROR. then the program will return a result measured in degrees. how many of them make up a circle. (0.866089312575, 0.499889290387), which are the cosine and sine of 30. # if one of the points is close enough to theta, we're done! My robot has two drive wheels on which I have odometry (plus some casters that we'll ignore). I want to use the odometry from the wheel encoders to keep track of where I've gone since I started counting. Let's say the right wheel moves b inches while the left wheel moved a inches during some time interval. Assume b > a. Then if we let the robot keep moving forever with those wheel speeds, the robot will make a big circle counterclockwise on the floor about some point X. We want to find X so that we can use a and b to find the new wheel positions on the floor. We want to find ra, the distance from the left wheel to X. We start by imagining the circumference of the circle the left wheel would travel in: ca. ca = 2*pi*ra. The right wheel's circle will have a radius of ra+w, where w is the wheelbase of the robot. So we know that a/ca = b/cb, which is also the proportion of the circle we traveled (if a/ca = 0.10 then we've gone 10% around the circle). Substitute and solve and we get ra = w*a / (b-a). Great! Now we know our radius of curvature. Next, we want to find X, the actual point on the floor that we're circling. We start by finding theta, the angle we moved around the circle, by simply multiplying a/ca by 360 (for example, 0.10 * 360 = 36 degrees). If we want it in radians instead of degrees, it's even simpler, since multiplying by 2*PI cancels out the 2*PI in ca, leaving just a/ra. 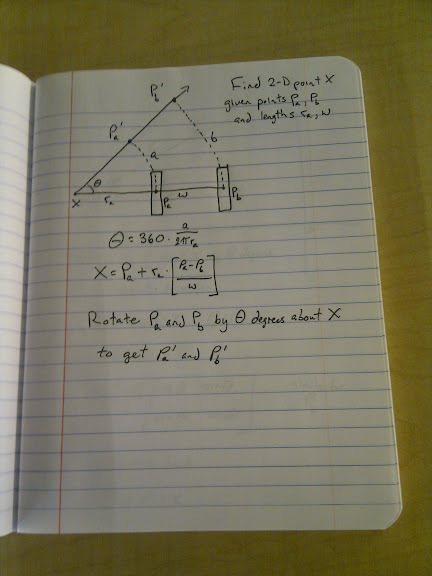 We know that the point X is ra inches to the left of Pa, along a line which also passes through Pb. (X, Pa and Pb are 2-dimensional points). 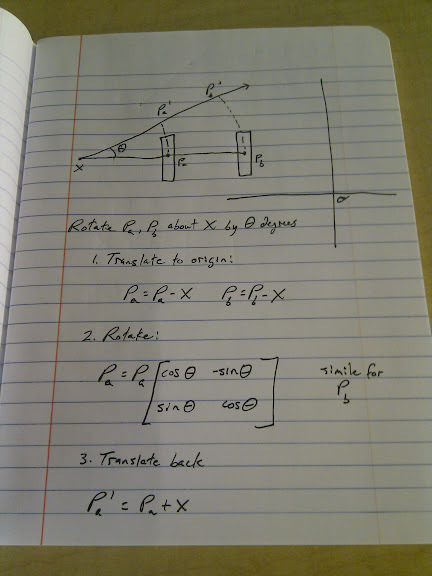 We get a vector from Pb to Pa with (Pa-Pb), make it length 1 by dividing by w, then multiply by ra so it's the right length to reach from Pa to X. Then we add it to Pa so that the vector ends at X. // radius of curvature. This handles that case. Edit: Fixed a bug in the example code where I tried to do _BV(foo|bar), which doesn't work at all. Changed them to (_BV(foo) | _BV(bar)). Also added a #define for _BV in case you don't already have it. I think this code is correct, but I haven't tried it. I wanted to read a pair of quadrature encoders with my atmega32, so I needed to enable the INT0 and INT1 pins. Incidentally, if you don't mind throwing away half the resolution of your encoder, you can get away with using only one interrupt per encoder. (You put one of the pair of sensors on an interrupt, and the other one on a regular GPIO pin. You get interrupts half as often, and the other sensor tells you which way you moved). Here's the code I used. The compiler complained about using obsolete avr-libc identifiers, but it seems to work fine. // an interrupt unless you have a handler installed.